Caroline Smith is the neo-soul artist we've been waiting for. The musician began playing to small crowds at the 400 bar in Minneapolis, a venue that became famous for churning out stars like Conor Oberst and Elliott Smith before closing down in 2012. After crossing paths with backing band members Jesse (bass), Arlen (drums), and David (keyboard) at her weekly solo gigs at the bar, they joined forces, and the rest was history. Since her small town beginnings, the sultry songstress has accumulated a substantial fanbase, and it's no surprise why. With thought provoking lyrics that discuss the essence of the human experience and the celebration of self-love among women of all shapes and sizes (heard in songs “Magazine” and “Half About Being a Woman”), Smith has the ability to articulate what it's like to be a woman in the 21st century. 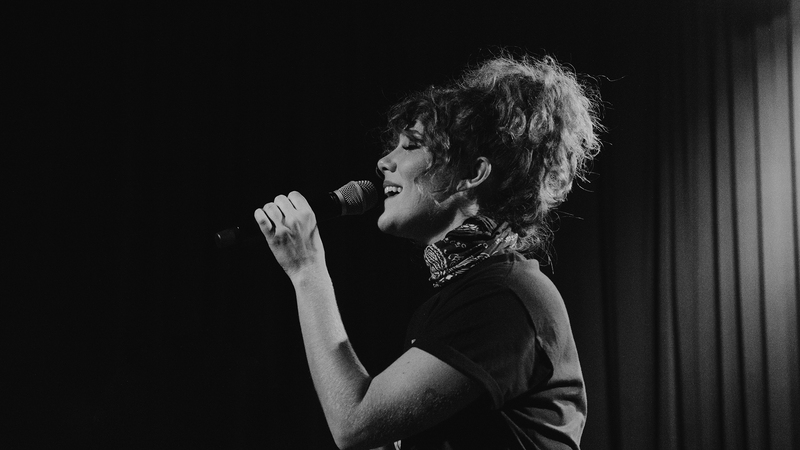 Lucky for us, we were able to catch Smith and her band for an intimate, soul-filled performance at Off Broadway on October 18. If you weren’t able to see Smith in St. Louis, check out some photos of the show below. Make sure you’re tracking the "Bloodstyle" performer on Bandsintown so you never miss another one of her live shows. Caroline Smith at @offbroadwaystl, 10/18/16.